Smithsonian Associates produces vibrant educational and cultural programming inspired by Smithsonian's research, collections and exhibitions. In 2018, over 350 volunteers donated their time and talent at nearly 600 seminars, performances, lectures, studio art classes, and bus tours. 25 office volunteers worked behind the scenes to keep things running smoothly. Together, these public facing and office volunteers gave 15,676 hours of their time in 2018. Volunteers are an integral and invaluable part of our operations! Our volunteers enjoy a host of benefits and privileges such as discounted or free tickets, discounts on food around the Smithsonian, and more! 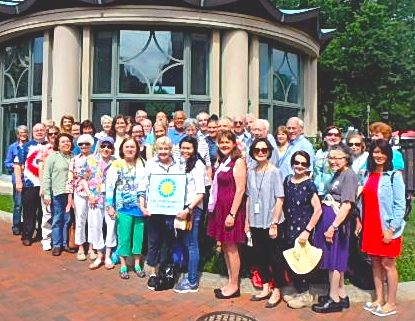 Smithsonian Associates hosts a variety of large-scale events throughout the year that rely on volunteer support for their success. Deciding to volunteer for Smithsonian Associates is one of the smartest things I have ever done. The variety of speakers is breathtaking, everyone from Sandra Day O'Connor to Joe Torres. It has been a pure joy. My volunteer experience with Smithsonian Associates gives me the opportunity to continue learning about a variety of topics that interest me, but the best part is that I learn about things that I never knew I would enjoy! I meet & make friends with people on our bus tours that have an innate curiosity like me and the study leaders are always passionate and share such fascinating facts. Its a gift to be a part of it all! I volunteer 4 hours per week in the office, working on databases and mailing lists. I enjoy coming to the National Mall weekly to help Smithsonian Associates provide unique learning opportunities to the greater DC community. Before retiring I worked for organizations that consistently made the list of top 50 places to work. Smithsonian Associates is just as good ï¿½ well managed, dedicated, and competent professionals who appreciate volunteers and assign them meaningful jobs. The number and diversity of programs keep you interested and wanting to volunteer more than they need you and way more than the annual commitment, like I always want to. What has surprised me about volunteering is how much I enjoy working the Concessions cart! Itï¿½s really a lot of fun and the patrons are not shy about expressing their appreciation. 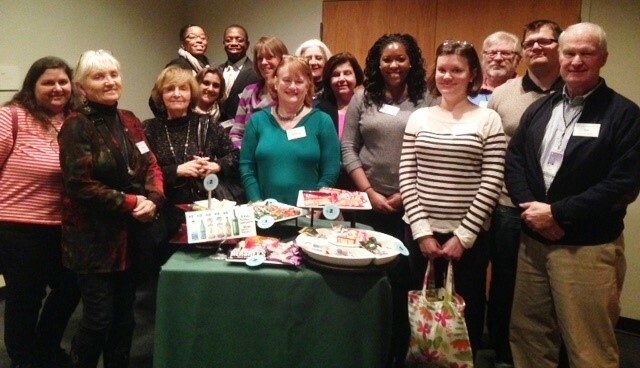 It also gives the volunteers an opportunity to further promote Smithsonian Associates. I love interacting with the patrons. I see different folks attending different programs and I really enjoy interacting with them and making sure they have an outstanding experience. One of the best things about being a Smithsonian Associates Event Rep and Bus Rep are the broad areas of program choice. I have truly enjoyed this kind of volunteering and look forward to doing it for many more years. I feel lucky to have the opportunity to be a part of arts program that is considered one of the best places in the USA for the exploration of both traditional masters techniques and creative discoveries in painting, calligraphy and photography, and more. In fact, the list of subjects that are taught is limitless and the instruction unchallenged by its noncompetitive and relaxed approach to teaching. The hands on experience makes you feel like a very integral part of the art world! I chose Smithsonian Associates for the impressive breadth of its program offerings. And now 19 later, I believe that volunteering is one of lifeï¿½s immeasurable gifts for collegial friendships and gaining educational stimulating insights. There are many things that I like about volunteering at Smithsonian Associates. I like the experience to see a lot of kind, interesting people ï¿½ both participants, speakers, other volunteers and the staff, too. Watching the work they do to keep this organization running is really impressive. I also like helping people find the escalator, elevator, drinking fountain or restroom. It makes me feel good to be able to help people.